Online scams are growing more sophisticated in Australia, as criminals seek to exploit people's worst fears about online content and the law. 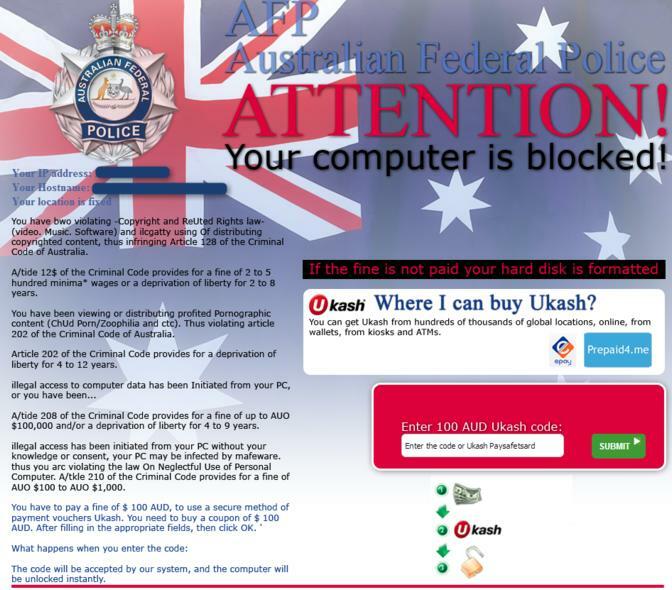 The Australian Federal Police, in conjunction with SCAMwatch, have warned the public of a 'Ransomware' scam, in which a pop-up warning comes up with the AFP logo and a statement that the user has been tracked for accessing illicit content, and that a fine must be paid immediately or the computer will be locked. In a media release in October AFP Manager of Cybercrime Operations, Commander Glen McEwen says that the public need to be aware of online scams and put appropriate measures in place to avoid getting caught up in them. “Users affected by this particular scam should not pay any money and should seek support from a repair centre if they need assistance to remove the virus,” Commander McEwen said. The scam is well known to French tracking website botnets.fr, which lists similar scams from around the globe, exploiting user angst over the extent of online surveillance. Meanwhile, other impulses are being targeted by online criminals. 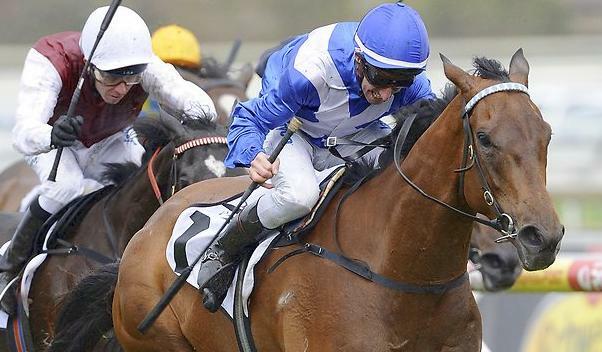 SCAMwatch has warned consumers to avoid ads, emails and phone calls offering 'foolproof' combinations to win over the Spring Racing Carnival, which reaches an apex on Tuesday with the running of the Melbourne Cup. - If you receive a phone call or email out of the blue about a sports investment opportunity, just hang up or press delete. - Always get independent financial or legal advice if an offer involves significant money, time or commitment. - Don’t be enticed by reports of past performance or graphs showing high returns, and don’t let scammers push your buttons by pressuring you to sign up on the spot. - Ask yourself: if a stranger knew a secret to making money, why would they share it? - If you think you have provided your account details to a scammer, contact your bank or financial institution immediately. BigPond, Optus and Internode all offer advanced security options with their packages, including server-based email filters. Optus' Security Suite, at only $6.99 a month, offers one of the most comprehensive packages available. Call Optus on 1300 137 897.